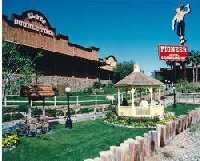 Pioneer Casino and Hotel in Laughlin, Nevada has a 26,500 square foot casino gambling floor with 750 slot machines, 15 table games, Poker and hotel. The Pioneer Resort is your best bet for an affordable getaway. 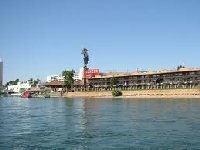 Located directly on the Colorado River and offers exciting recreational and River related activities. 400+ great rooms, many of which over look the Colorado River. They also allow pets.